What's the Best Way to Mark Your Parts? Job shop owners often have questions about different marking methods and which ones are most effective. From hot stamping and ink marking, to dot marking, there are multiple ways to approach marking parts. 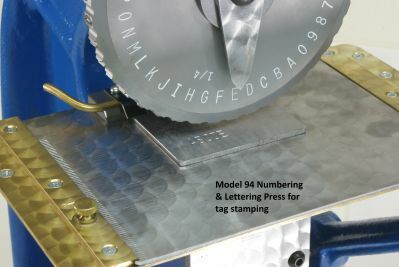 However, if you're looking for a permanent solution, Numberall Stamp and Tool's sales manager, Rick Pellerin, writes that there's one method definitely more effective than others. A UID, or unique identifier, is used on various parts for a specific purpose. Three types of UIDs include serial numbers, random numbers and names or codes. These UIDs are sometimes required by law, or are used for internal organizational systems. 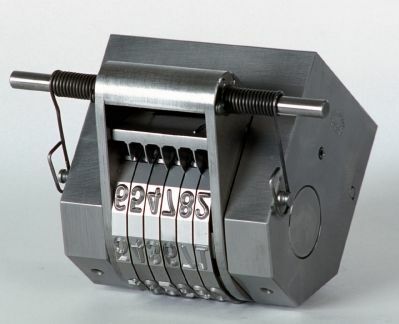 Numberall's equipment can be used to mark an array of components such as nameplates, tags, keys, small parts, bushings, round shafts, and completely assembled parts. For example, UID marking is required for firearms and military equipment. UIDs should be a permanent part of your product, and even though some marking methods may seem as if they would be permanent, only indent marking will give you an excellent mark that will last forever. Indenting into the material of your product will create a mark that will remain legible and secure in almost any situation, which is important if you need to meet government or industry standards. Marking vehicle identification numbers, safety devices, or medical devices with an indent marking method will create a permanent mark that will not fade with time and will meet marking standards. If you’re considering having your UID marked with a laser or ink, you may not get the permanence you hoped for. Ink marking fades over time, and even though it's a quick method, it's not a good choice for permanence. Imagine a customer 20 years from now, trying to read a part number from a dirty, rusty car. The ink stamp would be long gone, where an indented number would still be legible. In some situations, indent marking might even be faster than ink marking. Ink marking has its uses in industrial capacities, but permanent identification is not one of them. Ink marking can provide a quick and versatile option, but oftentimes indent marking is much more reliable and permanent. Laser marking does not distort the surface of the material enough. For permanence, you should use a method that will remain retrievable, even if someone files off the information. Indent marking provides a permanent mark that can be retrieved through chemical etching even if it's disturbed. Even when legal requirements are not the issue, long term part traceability for internal organization may be important for your business. If you want your products to remain reliable and the numbers to remain legible, indent marking is a great choice. Only indent marking provides an excellent mark that will last forever. In some situations, indent marking might even be faster than ink marking. On parts where the information will not change, you can mark your part as fast as your press can run. 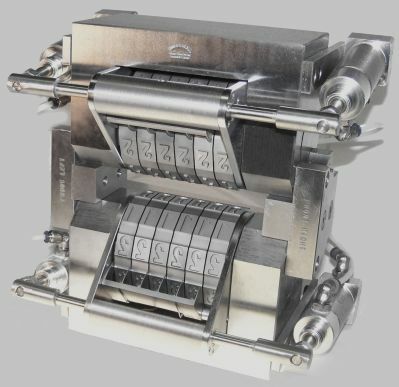 Even in instances where serializing is required, our Model 50 automatic head can run at very high cycle rates. Some of our other machines that offer a great indent mark include our popular Model 40B, our Model 49, the Model 98, the Model 47, various hand stamps, and more.